Collection of 100 Reader Favorites. 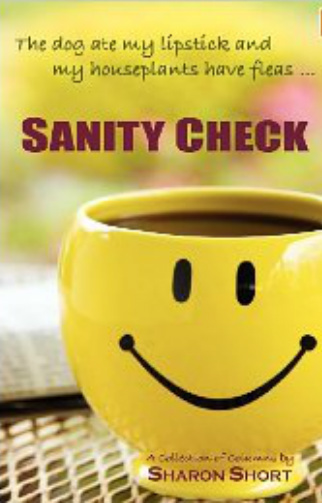 Read a sample of "SANITY CHECK"
Sanity Check first appeared in the Dayton Daily News (Ohio) in January 2002. For more than ten years, the column covered everything from shredding pantyhose for stress relief, to the family dog joyfully dancing with flying eggs, to the day I realized I’d lost my lips. Sanity Check’s driving philosophy is that we all goof up... but laughing at those goof-ups with each other is a lot healthier than obsessing over them.